MSC Cruises is looking towards the future with an announcement of the new “MSC For Me” program which is first coming to the MSC Meraviglia. The cruise line which has a ton of new cruise ships on order is introducing lots of new innovative technology. This new tech will help enhance the guest experience on 12 current ships in the fleet and all the new future ships. MSC Meraviglia and MSC Seaside coming this year will be the first ships to host all the innovative benefits. Navigation: digital way finder that provides guests on board with advice, guidance and information on what’s on. The technology is similar to smart maps and helps them find their way on the 1000+ foot long ships with a 16 foot precision. It also allows guests to locate their children, as needed. Concierge: allows guests to easily book services, restaurants, excursions and more in real time, 24/7. Capture: digital immersive discovery through virtual reality to preview excursions and a gallery with interactive screens showing the unique story of a guest’s trip, which they can share in real time. Organizer: a planning tool for guests to check in with their mobile device, book trips, seats for shows, or the best dinner table, before embarking or when on board. TailorMade: digital, personal advisor that will provide tailored recommendations, based on preferences. Intelligent face recognition will help staff take care of guests in a highly personalized way. 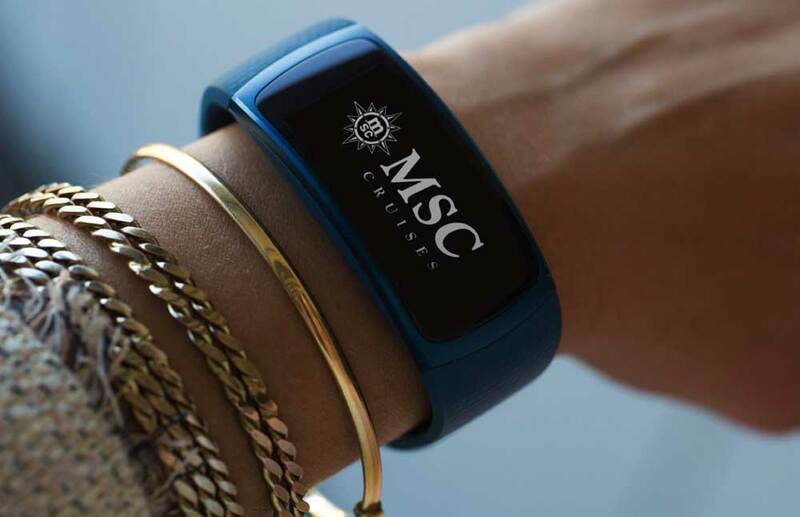 Interactive bracelets will connect guests to the ship’s services and will activate geo-located suggestions through 3,050 bluetooth beacons. MSC for Me will see its initial roll-out across the Company’s new builds, with further refinement and enrichment taking place as each ship comes into service. Its key features will then be rolled out to all 12 ships comprised in MSC Cruises’ existing fleet.